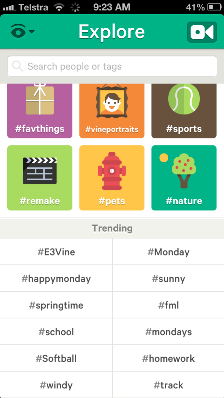 Twitter’s Social video sharing app, Vine has finally made the update many have been waiting for – the inclusion of trending hashtags, as mentioned in their latest blog post. The application has an explore tab, similar to how Instagram shows off their most popular content – however many users have been wondering why Twitter hasn’t introduced a trending hashtag feature just like the Twitter.com website. This should help surface more popular content for users and it will be interesting to note in the future if Vine decides to introduce promoted trends like Twitter advertising offers.